What is the Times Interest Earned Ratio (Cash Basis)? 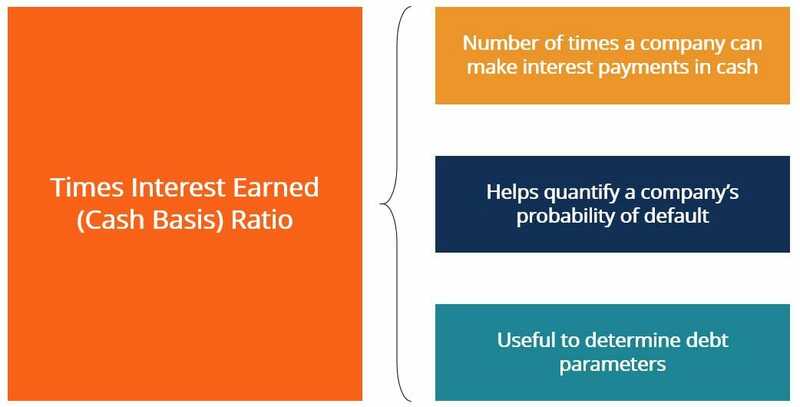 The Times Interest Earned (Cash Basis) (TIE-CB) ratio is very similar to the Times Interest Earned RatioTimes Interest EarnedThe Times Interest Earned (TIE) ratio measures a company's ability to meet its debt obligations on a periodic basis. This ratio can be calculated by dividing a company's EBIT by its periodic interest expense. The ratio shows the number of times that a company could pay its periodic interest. Times Interest Earned (Cash Basis) ratio measures a company’s ability to make periodic interest payments on its debt. 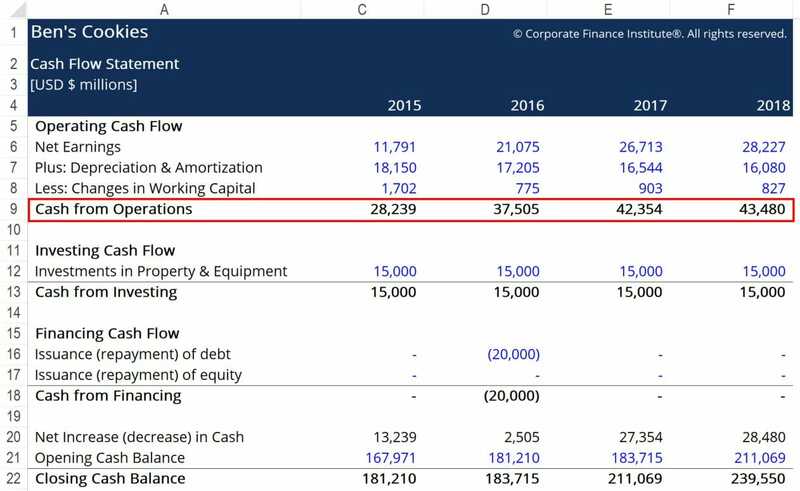 The main difference between the two ratios is that Times Interest Earned (Cash Basis) utilizes adjusted operating cash flow rather than earnings before interest and taxes (EBIT)EBIT GuideEBIT stands for Earnings Before Interest and Taxes and is one of the last subtotals in the income statement before net income. EBIT is also sometimes referred to as operating income and is called this because it's found by deducting all operating expenses (production and non-production costs) from sales revenue.. Thus, the ratio is computed on a “cash basis”, which only takes into account how much disposable cash a business has on hand. This is cash that can be used to make debt repayments. The TIE-CB’s main goal is to quantify the probability that a business will default on its loans. This information is useful in determining various debt parameters such as the appropriate interest rate to be charged or the amount of debtDebt CapacityDebt capacity refers to the total amount of debt a business can incur and repay according to the terms of the debt agreement. A business takes on debt for several reasons, boosting production or marketing, expanding capacity, or acquiring new businesses. How do lenders assess how much capacity for debt a company has? that a company can safely take on. A relatively high TIE-CB ratio indicates that a company has a lot of cash on hand that it can devote to repaying debts, thus lowering its probability of default. This makes the business a more attractive investment for debt providers. Conversely, a low TIE-CB means that a company has less cash on hand to devote to debt repayment. Thus, there would be a higher probability of default. While a high TIE-CB ratio is almost always favorable over a low ratio, an excessively high TIE-CB may mean the company may not be making the best use of its cash. For instance, a high ratio could indicate that a company may be not be investing in new NPV positive projects, conducting research & development, or paying our dividends to its stockholders. As a result of this, the company may see a decrease in profitability (and subsequently cash) in the long term. Here, we see that Ben’s TIE-CB slowly increases year over year, up to 41.11x interest in 2018. 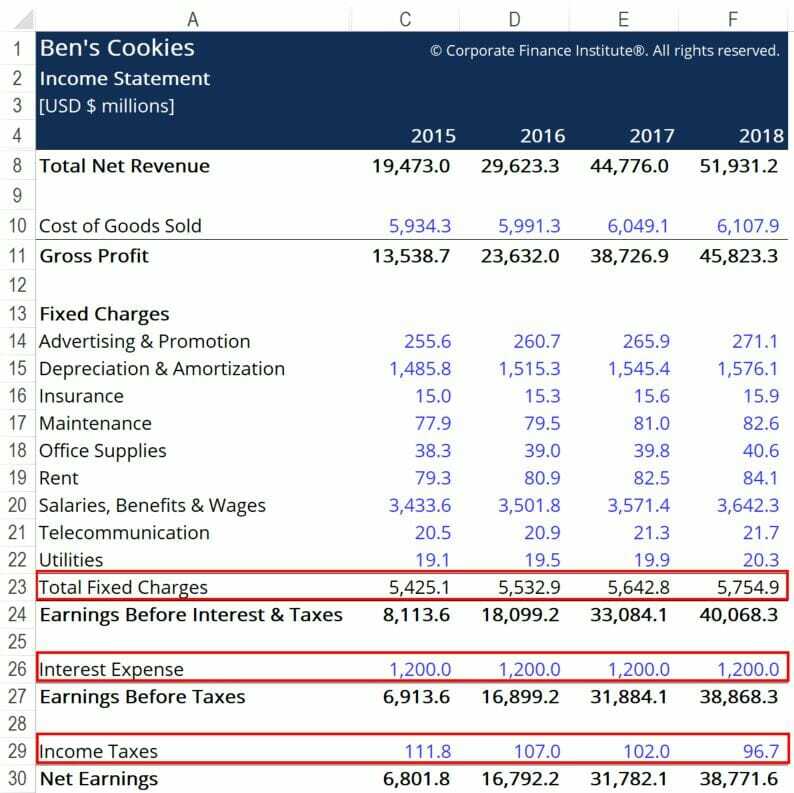 This would generally be a good indicator of financial health as it means that Ben’s has enough cash to pay the interest on its debt. If Ben were to apply for more loans, he likely has a good chance of securing further financing, as there is a low probability of default. To better understand the financial health of the business, TIE-CB ratio should be computed for a number of companies that operate in the same industry. If other firms operating in this industry see TIE-CB multiples that are, on average, lower than Ben’s, we can conclude that Ben’s is doing a relatively better job of managing its financial leverage. Creditors are more likely to extend further credit to Ben’s, if needed.